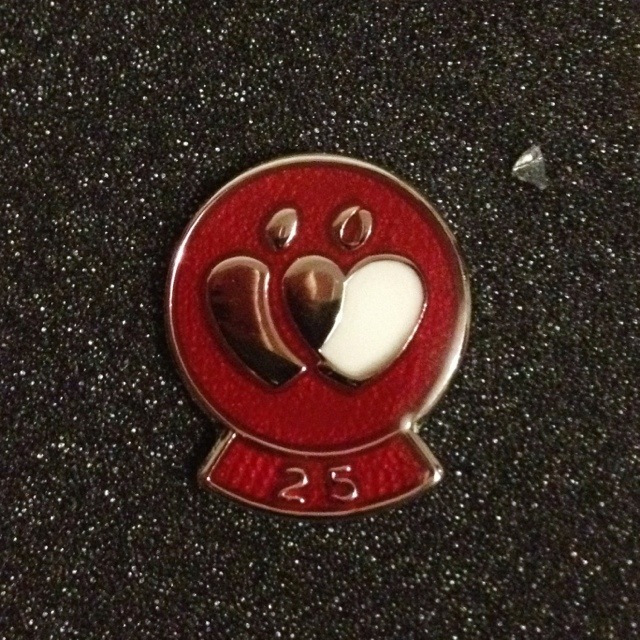 This is the badge I got a few weeks ago for my 25th blood donation. I couldn’t think of anything else to picture today, so thought I’d go for another exhortation to give blood. Check where your next local session is at blood.co.uk or call 0300 123 23 23. Thanks! This 1,684th post was filed under: Health, Photo-a-day 2012, Blood, Medicine.